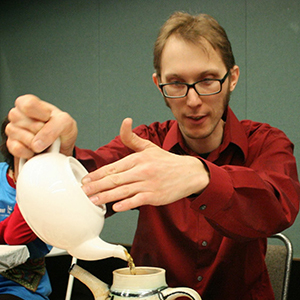 Brett Boynton has been selling and serving fine tea in Seattle, Washington since 2001. He was part owner of Phoenix Tea, from 2011 until the end of 2015. He is an active tea educator and the author of Black Dragon Tea Bar blog. His deep love of tea has brought him to Taiwan five times to study oolong production and tea culture.